A Latin proverb says: “suppressio veri, suggestio falsi” — suppress the truth, suggest falsehoods. On January 1, 2018, a day after the Elgaar Parishad meeting in Pune, Dalits were targeted at Bhima Koregaon. Nearly eight months later, on August 28, five activists were arrested in connection with the case, in raids held across the country. The famous retired Supreme Court Justice, PB Sawant, one of the organisers of the Elgaar Parishad, has sharply criticised the arrests, calling them a “campaign of misinformation.” “These are really worrying developments. This is a campaign of misinformation. The (Pune) conference was an effort to bring together people under one slogan, ‘Save the Constitution, Save the Country’. By its action, the present regime has shown that it does not believe in the Constitution,” said Sawant. The January violence was witnessed during celebrations organised to mark the 200th anniversary of the Battle of Koregaon, in which Mahar (lower caste) soldiers fighting for the British East India Company had defeated the upper caste Peshwa army. Just after the violence, it was reported that some upper caste activists reportedly linked to hardline Hindutva groups had been taken into custody by the police. Supporters of these activists, if not the activists themselves, were shown in the media. Later, these activists were released. In Pune, Joint Commissioner of Police Shivaji Bodkhe said the latest arrests were based on information received from five “urban Maoist operatives” arrested in a similar operation nearly three months ago. In June, six Dalit and left wing activists had been arrested. Have they been given access to legal help, medical help and family members, as is the requirement under law? What happened to the earlier set of detainees who were briefly detained on January 1? According to a report in The Indian Express, another police officer, unidentified, has claimed there was “evidence in the form of electronic communications through a portal that ensured anonymity” against the activists. So, is an unidentified police officer getting evidence “in the form of (anonymous) electronic communications” the basis for the arrests? But the game had been afoot since early January. 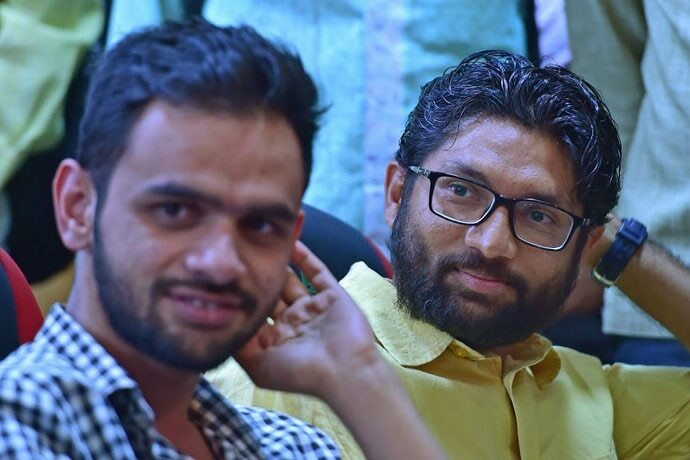 On January 4, two men, Akshay Bikkad and Anand Dhond, complained to the police against Gujarat MLA Jignesh Mevani and JNU student Umar Khalid, among the speakers at the Elgaar Parishad. 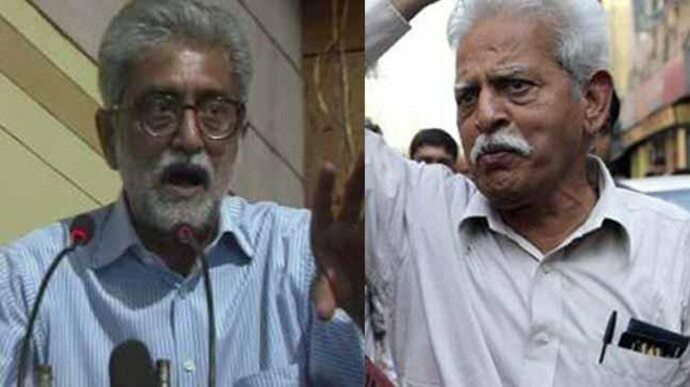 Bikkad and Dhond alleged that Mevnani and Khalid created “communal disharmony” through their “provocative speeches” at the event. This doesn’t seem to have worked as, though the FIR was registered, there has been no progress in the case. This may well have been because Umar Khalid was working on his PhD in Jawaharlal Nehru University, New Delhi, for most of the time in the past few years. On January 8, Tushar Damgude, a Pune resident, lodged a complaint with the police against six people, including members of the Kabir Kala Manch, for “creating communal disharmony through “provocative slogans, speeches, pamphlets, and booklet(s) at the Elgaar Parishad”. Considering that retired Supreme Court Justice PB Sawant was one of the organisers of the event, this seems highly unlikely. But, on the other hand, it has been pointed out that the “complaint” could have been motivated. It is this second FIR that has led the police to make August 28’s arrests. Those arrested on June 6 include Nagpur University professor Shoma Sen, Delhi-based activist of the Committee of Release of Political Prisoners, Sudhir Dhawale, a leader of the Mumbai-based Republican Panthers, Jati Antachi Chalwal, Nagpur lawyer Surendra Gadling of the Indian Association of People’s Lawyers, and Mahesh Raut, who had in the past been the Prime Minister’s Rural Development Fellow. They were charged with sourcing funds from banned Maoist groups to help in organising the Elgaar Parishad. Those arrested on August 28 are: Varavara Rao, a poet and outspoken human rights activist; Sudha Bharadwaj, an advocate supporting peoples’ causes; Gautam Navlakha, a writer and activist; Vernon Gonsalves, a Mumbai-based activist; and Arun Ferreira, also a Mumbai activist. In addition, professor Anand Teltumde, of the Goa Institute of Management, had his house searched by the police. By August 29, the Delhi High Court had ordered that Gautam Navlakha be kept in house arrest and not taken to Maharashtra. The honourable judges were not convinced that the Pune police had enough evidence against him. 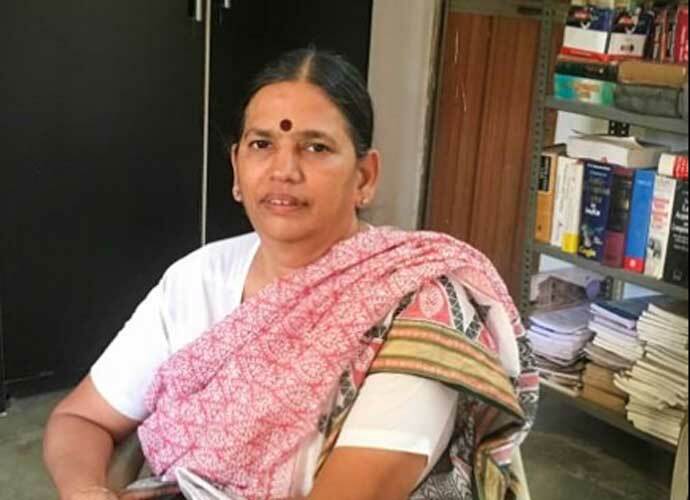 Sudha Bharadwaj has been working among the poor in Chhattisgarh, and is Visiting Faculty, National Law School, Delhi. Varavara Rao is a veteran human rights activist settled in Hyderabad/Secunderabad. My father was at one time the Senior Superintendent of Police in Andhra Pradesh, involved in “anti-Naxalite operations” from the end of 1960s for a decade, as the police forced the Maoists out of undivided Andhra. But neither then, nor till a few years ago, did I come across the “urban Maoist” category. Maoists get their name from Mao Ze Dong, who, in the initial years of the Chinese revolution, had to fight the Japanese and the Nationalist Chinese led by Chiang Kai Shek. The mainstream Maoists in Chhattisgarh still follow the old Maoist path. But “urban Maoists” so far, do not carry arms, something difficult to do in urban areas. Their ideology, as long as it is broadly Constitutional, is within the framework of the law. The Mumbai/Pune police, too, don’t always act as swiftly as they are doing now. The murder cases of rationalists Narendra Dabholkar and Govind Pansare, both allegedly killed by men with affiliations to hardline Hindutva organisations, are yet to be solved. As the Latin proverb goes, “suppressio veri, suggestio falsi,” that is: “suppress the truth, suggest falsehoods.” This double-dealing in civil society, along with certain elements in the police force and some authoritarian politicians, are the real “urban” and “rural” threats to our people and culture.